For years I’ve written and commissioned new music inspired by architecture in Chicago, Milwaukee and in Barcelona. 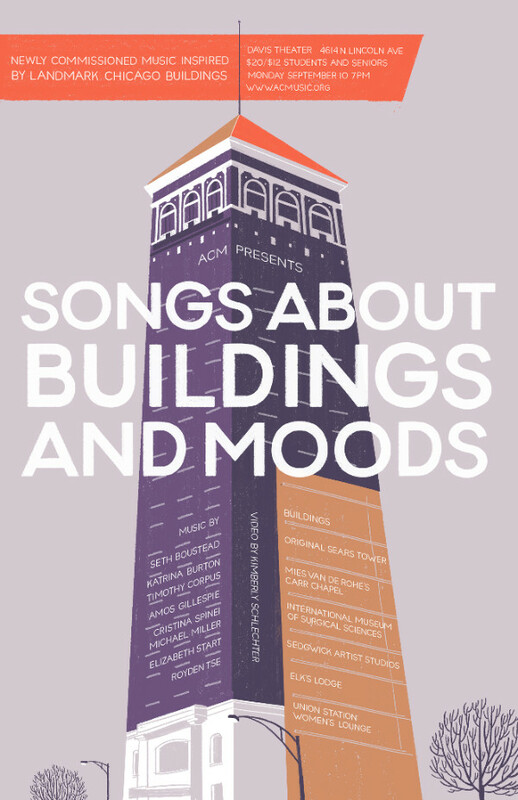 For ACM’s first concert of our Chicago season we’re presenting several of our favorite architecture-inspired pieces over the years performed in a concert setting with videos of the buildings. Highlights include the original Sears Tower (the one they built before the famous one,) Mies van der Rohe’s Carr Chapel, the former Women’s Lounge at Union Station, the International Museum of Surgical Science, and the piece I wrote for the gorgeous Casa Mas de Miquel in Barcelona. This is it, the event I was just telling you about in the top, text-only portion of the newsletter! 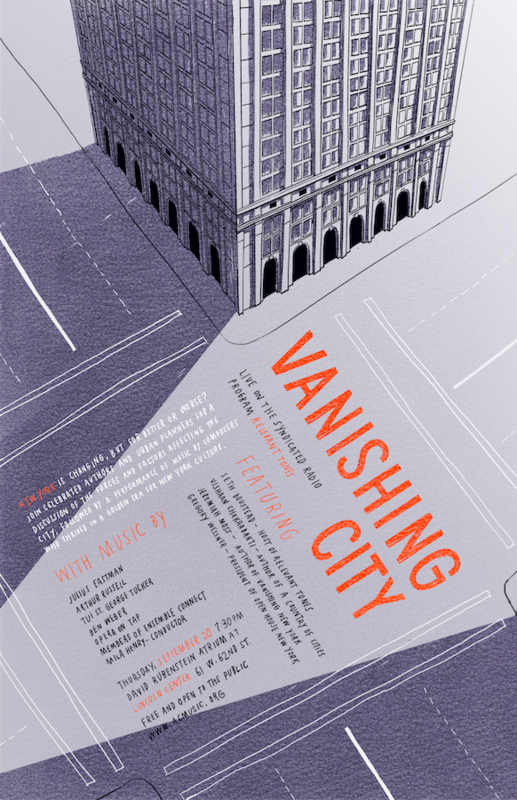 Vanishing City features a panel presentation with some seriously accomplished people including Vishaan Chakrabarti, Jeremiah Moss, Gregory Wessner and Frank J. Oteri as well as yours truly as moderator. Musically we’re working with Carnegie Hall’s Ensemble Connect, Opera on Tap and the fabulous conductor Mila Henry to perform works, several of which have never been performed before, by Arthur Russell, Julius Eastman, Tui St. George Tucker and Ben Weber. You can watch it in real time at 7:30 PM eastern time on WFMT’s Facebook page. I hope you’ll tune in or, if you live in NYC, come on down. It’s free! More info here. 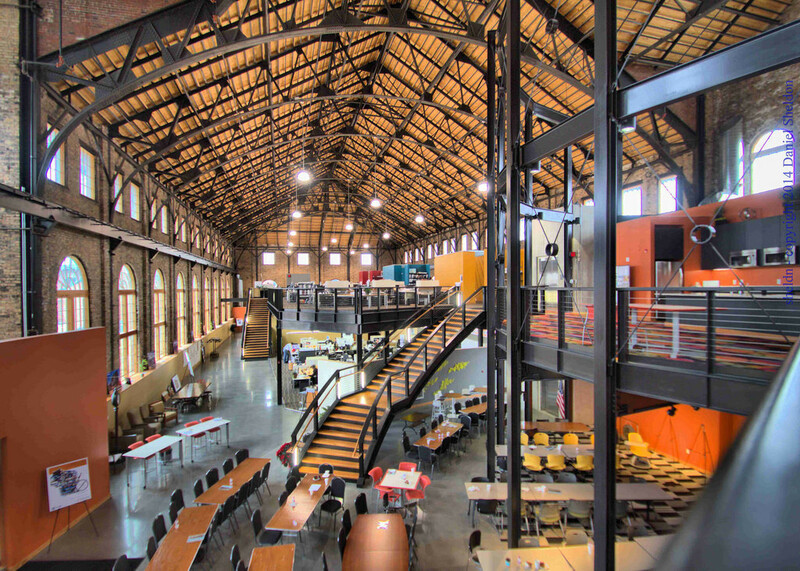 And now the third city… ACM will be in Milwaukee on September 22nd for our fourth annual collaboration with Doors Open, a project that celebrates homegrown architecture and lets folks be tourists in their own town. As part of the project we’ve commissioned three composers to write music for three different buildings: The Vue, the Gaslight Building (pictured above) and the Prizlaff Building. Musicians will be placed in the buildings on the day of the event to perform the music every fifteen minutes for the hundreds of curiosity seekers who come through. Videos will be posted shortly after. 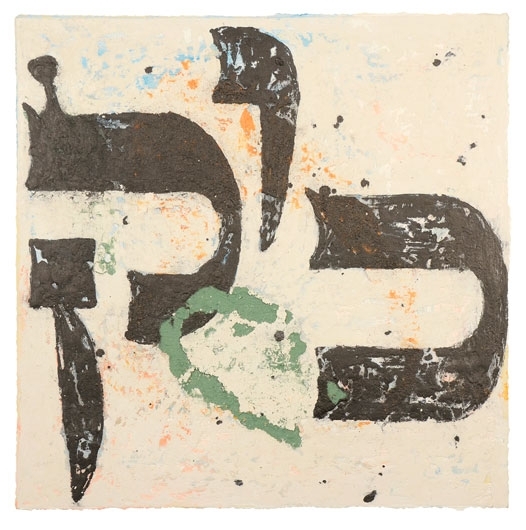 Painter Rainer Gross has made a depiction of each of the 72 Hebrew names for God and the Composers Concordance has been busily commissioning composers to write short choral pieces inspired by each of them. I’m honored to be part of this project and was assigned the name Kaf Vav Kuf which according to my Google search means “connection to spirituality ignites sexual energy.” So that’s the direction I took it in. 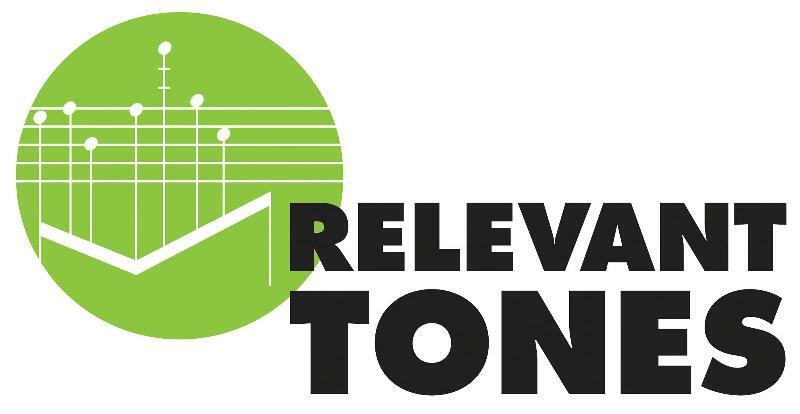 Several of the pieces, including mine, will be performed on September 25th at William Paterson University as part of their New Music Series at 7:30 PM. I’m looking forward to hearing the other works! I’ll return to Lincoln Center on September 27th to host a panel presentation for the New York Philharmonic with composer Conrad Tao, President Deborah Rutter and perhaps, if we’re lucky, conductor Jaap van Zweden. 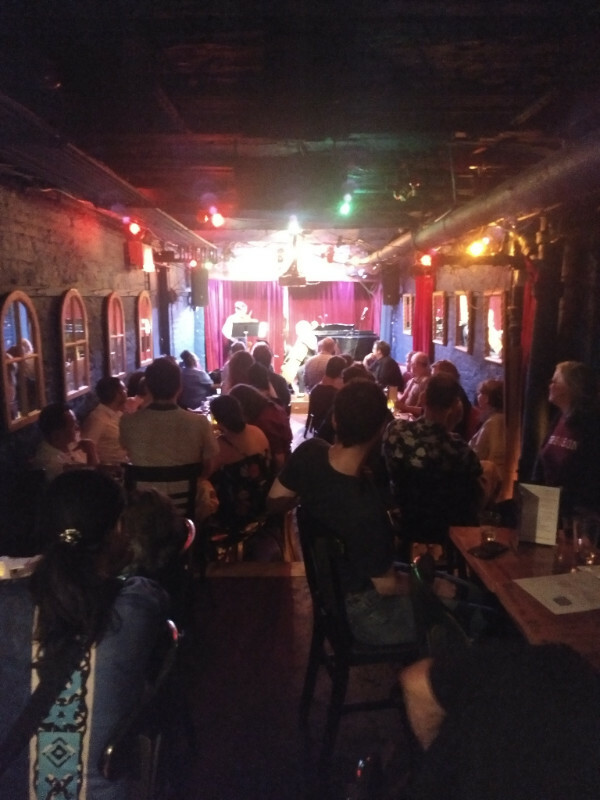 I wrote this short piece for the Concept Lab series that I started at Cornelia Street Cafe in Manhattan. Happening every three months, Concept Lab is an experimental music series that let’s composers and performers experiment in real time in front of a small but enthusiastic audience. This piece is for piano, violin and cello and features myself, Irene Fitzgerald-Cherry and Talia Dicker. The microphone was practically on the stage so you can hear everything including the creaks from the piano bench when I shifted my weight. To prepare for moderating this panel I’ve been reading like a crazy person. I’ve read or am reading The Power Broker: Robert Moses and the Fall of New York, Jacob Riis’ incredible and moving How the Other Half Lives, Jane Jacobs’ Death and life of Great American Cities, Tim Lawrence’s Hold Onto Your Dreams, Arthur Russell and the Downtown Music Scene 1973-1992 and many others. I feel like I’m in school again cramming for a final. If you don’t know Arthur Russell check him out. He wrote music in every style imaginable but especially a kind of experimental pop folk music, though also disco, a lot of disco and classical as well. I went to the Lincoln Center Performing Arts Library and dug through the collection of his manuscripts, notebooks and other effects. It was an incredible experience. I smashed the index finger of my right hand in our basement door yesterday. I don’t think I broke it but the tip and fingernail turned purple and now the fingernail is turning black and I think it’s going to fall off soon. It’s a pity because that’s the finger I use for reading.